2 Bedroom House To Rent in Derby for £525 per Calendar Month. 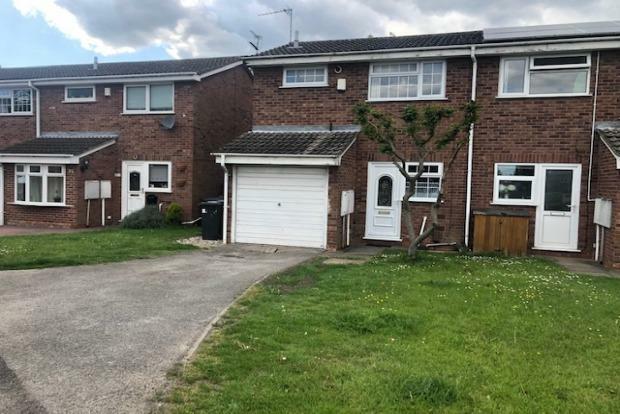 This modern two bedroom semi detached house is situated in a quiet cul de sac in Alvaston and is afforded with good road links to the A52, A50/M1 & A52 and East Midlands Airport. The property is brought to let unfurnished with carpets. It is fully double glazed with new gas central heating and cavity-wall insulation, making the utilities very manageable. Kitchen to the front aspect in the fitted kitchen with a range of wall and base units there is an electric cooker, space for fridge and space and plumbing for washing machine. Upstairs, off the landing, there are two double bedrooms and the bathroom with full suite and electric shower over the bath. There is driveway parking to the front leading to the integral single garage and gardens front and rear. Call Frank Innes Lettings on 01332 203830 to arrange viewings.